Is Imran Khan going to Dubai for India-Pak match, or to get Saudi help? India stand to lose by boycotting Pakistan in the upcoming World Cup, feels former captain Sunil Gavaskar, who said the country can continue to "hurt them" by shunning bilateral ties. Led by senior India spinner Harbhajan Singh, calls for a complete cricketing boycott of Pakistan have grown ever since the terror attack in Pulwama last week killed more than 40 CRPF personnel. India are scheduled to play Pakistan on June 16 during the World Cup. "India have so far beaten Pakistan every time in a World Cup, so we are actually conceding two points when by beating Pakistan, we could make sure that they don't advance in the competition. "(But) I am with the country, whatever the government decides, I am with it totally. If the country wants we shouldn't play Pakistan, I am with them," he added. The bilateral cricketing ties between the two countries have already been suspended since 2012 and the teams last played a full series in 2007. "Where does it hurt Pakistan? It hurts them when they don't play a bilateral series against India. In a multi-team event, India will lose by not playing them. The entire matter needs to be looked at with a little more depth, I can understand emotions are running high. "But what happens when you don't play them? 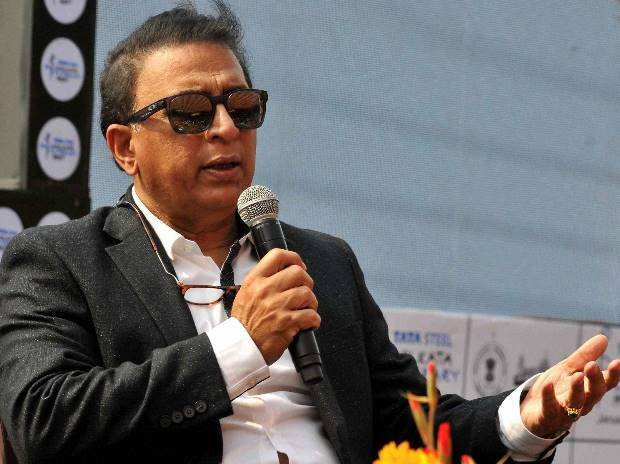 I know India are strong enough side to qualify even after conceding those two points but why not beat them and make sure they don't qualify," argued Gavaskar. If the BCCI takes the matter to the ICC, as is being speculated, and seeks Pakistan's ouster from event starting May 30 in England, it is more likely to lose, he said. "They can try but it will not happen. Because the other member countries have to accept that and I don't see that happening. I am not too sure an ICC conference is the right forum," he said referring to the February 27 to March 2 ICC meetings in Dubai. "Sure all of us are absolutely down with what has happened, it is such a tragedy but I am not too sure this would work with the ICC. The other counties will say that this is an internal matter between the two countries and they have to deal with it and not involve us." Gavaskar urged Khan to take the necessary "first step" towards improving ties with India. "Let me speak directly to Imran Khan, someone who I have admired so much, who I think is a friend. Let me say to Imran 'when you took over you said that it is going to be a new Pakistan'. "You said that 'India should take the first step and Pakistan will take two steps' but not as a politician, as an average sportsperson, I want to say to you that Pakistan is the one which should take the first step. "You ensure there is no cross-border infiltration, you ensure that those in Pakistan who are creating problems in India are handed over, if not to India, then to the UN. You take those two steps and you see the number of friendly steps India will take," he said. Like Indo-Pak cricketers, Gavaskar wants the people of the two countries to enjoy friendly relations. "I know many Indian and Pakistani cricketers are friends. You (Imran) are my friend, Wasim (Akram) is my friend, Ramiz (Raja) is my friend, Shoaib (Akhtar) is my friend. We have such a good time when we meet in India or outside and I think the people of the two countries deserve that good time. "So you take that first step. Let the Naya Pakistan take this big first step and you will see India taking a number of steps. The love and affection that Imran gets in India is unbelievable. "He has spent a lot of time in the country. He knows the Indian people better than any other Pakistan and I do believe that he is capable of taking these steps," said Gavaskar. Asked if Khan would pay heed to what he has said, Gavaskar recollected an instance from their past interactions. "I was thinking of retirement after the series in England (1987) but he said 'no no, let's have one last confrontation, I want Pakistan to beat India in India and it won't be the same if you are not in the team'. "So I listened to him then but that was on the field. This is completely different. This touches a lot more lives than a game of cricket," he said.